Chef J.P. Singh is the Executive Chef at Bukhara Restaurant (Delhi, India), winner of the 2017 INC Award for Excellence in Gastronomy. An expert in Indian Cuisine, Chef J.P., as he is affectionately known, honed his skills at the Institute of Hotel Management, Delhi, and further enhanced this knowledge at the Institute of Hotel Management Catering Technology & Applied Nutrition, Mumbai. 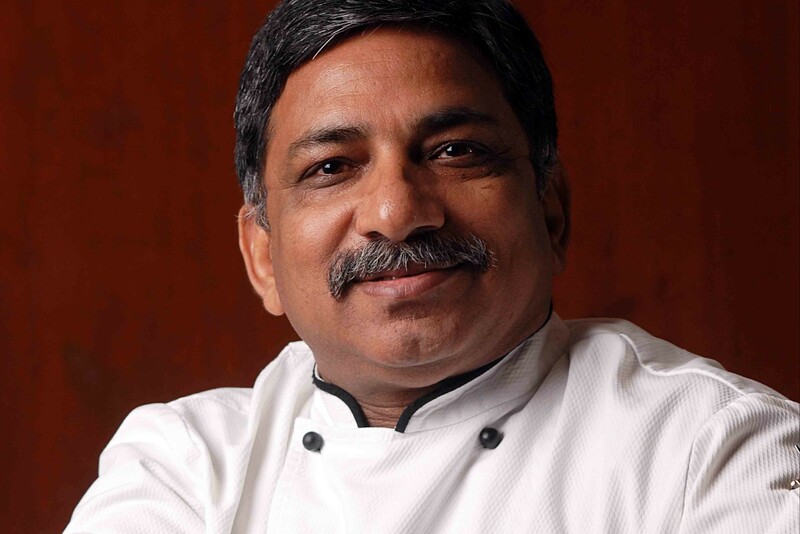 He joined the ITC-Welcomgroup in 1981 as a Demi Chef De Partie and held several key positions before heading the kitchen at Bukhara, located at the ITC Maurya hotel, in 1991. Chef J.P. has traveled extensively across the globe promoting and educating people on the popular Bukhara cuisine in countries including New Zealand, Belgium, the United Kingdom, Germany, Switzerland, Singapore, Hong Kong, Colombia, Ecuador, the USA, Costa Rica, Venezuela & Panama. Chef JP has personally catered for numerous celebrities and heads of state at Bukhara, which is world-famous for its open kitchen, traditional Indian North-West Frontier region style and its menu, which hasn’t changed in 30 years. Bukhara is one of Asia’s most renowned restaurants. Now you have just won the INC Award for Excellence in Gastronomy… What makes Bukhara so special? In a world where ‘change’ is the order of the day, Bukhara has been acknowledged for its culinary excellence since its inception almost four decades ago! We practise ‘responsible sourcing’ of the best ingredients, a part of ITC Hotels credo of ‘responsible luxury’. Having emerged as an icon that features in the itinerary of visiting dignitaries and heads of state from around the globe, it has remained unchanged and unmatched. The USP menu has never changed since its inception. It’s a ‘must-dine’ destination for the world’s dignitaries and celebrities! How do you personally feel about that, considering your current position at the restaurant and, above all, that you have been an essential part of most of its history? Having been associated with Bukhara for almost three decades as its executive chef gives me immense satisfaction. Since it is a must-dine place for PMs, presidents and celebrities, it becomes rather challenging to retain its image while at the same time remaining abreast of the competition on the global front. You have been part of Bukhara’s staff for more than 30 years. How did it become one of the most popular and successful restaurants in India? You feel elated to see the repeat clientele and elite guests coming over again and again, sometimes successive generations from the same family coming together, preparing them to be the future clients of Bukhara. Though the menu is short and crisp, its consistency and overall experience makes it unique and it speaks for itself. I have personally seen it growing in popularity and I have great appreciation for my team, which I lead from the front. The menu has remained the same for decades and has stuck to a very genuine and specific style. Why is that? The menu has not changed since its inception in 1978 because at Bukhara we believe that ‘every creation is a masterpiece’ and we have chosen to retain its particular style, consistency and authenticity. This clearly shows that the authenticity of the cuisine remains close to our hearts and the result is the most masterful North-West Frontier tandoori style cooking imaginable. Weren’t you afraid that innovation fever could leave you isolated and out of popular trends? Not at all! Innovation fever is time-bound and has its peaks and valleys. However, as I’ve said, we proudly display on our chefs’ hats ‘Every Creation is a Masterpiece’. We have authentic, master creations on our menu, out of which innovative ideas are influencing neo-modern restaurants all over. But we remain strong at our grass roots and have not been swept away by this innovation fever. The soul of the element is in the roots! In general terms, what can customers eat at Bukhara? How would you describe its cuisine? At Bukhara, serving North West Frontier cuisine, the prime cuts of meat and vegetables are marinated with the choicest of spices and skillfully cooked on a high heat in clay ovens called Tandoor, which allow them to retainin their tender moistness. The world-famous Dal Bukhara is sure to be the longest cooked lentil in the world and is really ‘regal’ and sought after, a fact of which we are really proud. The signature dishes are Sikandari Raan, Murgh Malai Kebab, Tandoori Jhinga, Barrah Kebab, Paneer Tikka, Tandoori Aloo and above all the famous Dal Bukhara. What is an Executive Chefs’ role? Is it more about creating and cooking, or about managing? My role is to ensure quality, consistency, the guests’ delight through interaction, meet most of the regulars, VVIPs, HOS and educate them about the cuisine. Above all, I am hands on chef and love to do the meat cuts, marination and the making of Dal Bukhara. I Also have to keep up the morale of the team at any given point. We have created a congenial atmosphere in the kitchen and the staff turnover rate is almost zero at Bukhara. The team love being associated with the brand Bukhara and strive to retain their image. Being the custodian of Bukhara and Peshawari (located at the various ITC properties and identical to Bukhara in every way) my role also involves ensuring the same consistency at all Peshawari in line with Bukhara standards. What can Bukhara expect in the future? It must continue to be at the top of the ‘must dine’ list of culinary aficionados in India and the world over. Bukhara must remain market leader and retain and enhance the Bukhara brand image on the global map. Ambassadors of Bukhara must make sure to continue spreading the enthusiasm across the continents. What do celebrities find so charming about Bukhara? Bukhara has captured the hearts of many global icons, including US ex-presidents such as Barack Obama, Bill Clinton and George Bush, Russian President Vladimir Putin, British prime ministers like Tony Blair, David Cameron and Theresa May, prime ministers from New Zealand, Singapore and many more, who have not only dined at Bukhara but also entered the kitchen to understand the techniques behind the magical delights of the tandoor. Others, like Bill Gates, Lewis Hamilton, Bryan Adams, Mick Jagger and Arnold Schwarzenegger also enjoyed themselves and left after an unimaginable experience! They undoubtedly find the restaurant charming because of the joy and happiness in its atmosphere, and also because they are educated to eat with their hands. As per the Indian ritual and belief, and at Bukhara too, we believe that food must be experienced through all your senses, one of the many reasons why we encourage you to eat with your hands. We serve water in copper glasses for therapeutic purposes. We have also created a ‘Wall of Fame’ at Bukhara displaying the pictures of most of the famous celebrities who have visited Bukhara and eaten with their hands. We have received more than 60 awards, laurels and accolades in the last 39 years of our existence. At Bukhara, the kitchen can be seen by the customers. What does that change regarding your job? Does it make it harder, or at least increase the pressure? Bukhara was probably the first restaurant in the country to have a front-show kitchen protruding within the restaurant. We rather enjoy working like this as it has become part of our work culture since it’s inception to ensure hygiene and the upkeep of the kitchen. Also, the guests do enjoy watching the chefs doing a great job, making the kebabs and the breads in front of them and the making of the gigantic Naan Bukhara – big enough for a family of five or six. In fact, we proudly invite the VVIPs to visit the kitchen. What is the role of nuts and dried fruits at Bukhara? We use nuts and dried fruits in our veg preparations and extensively in our desserts, of course. Beyond Bukhara, what role do you think nuts and dried fruits can have in cuisine? What difference can they make? Do you enjoy them? What is your favorite dish which features them? With natural sugars and fibers, zero cholesterol and fats and a variety of delectable flavors, nuts and dried fruits are an excellent source of all the essential nutrients. The right and regular mix of almonds, cashew nuts, pistachios, raisins and other dried fruits and nuts is all you need to maintain a healthy lifestyle. In Indian cuisine, nuts and dried fruits are used extensively to achieve textures from a chunky bite to the silky smoothness of the gravies, to provide richness and for presentation.